And then I get escorted from their exhibition, and they don’t speak to me for months. I’ve had several discussions with photographer friends — all professionals who make their living behind the lens — about whether they could produce high quality work with a cheap point-and-shoot camera or needed expensive equipment. They all agreed, good equipment made life easier, but their (breathtaking) skills let them overcome the shortcomings of the cheap equipment. A writer really can get by with a golf pencil and the back of an envelope. A writer writes; everything they do happens in their brain, and gets translated onto paper. It’s the same on the digital front. There are no special apps that make us better writers. No apps that make our words shine or turn them into magical ideas. Sure, there are plenty of tools that claim to be writers’ apps. Tools that shut off Facebook and tools that hide your entire laptop screen. But what can they do that a simple “I’m not going to use Facebook for the next two hours” self-promise cannot? There are minimalist writing apps that strip out all the bells and whistles of Apple Pages or Word. But you can also get TextWrangler for Mac or Microsoft Works for free, or just plain old Google Docs. There’s even Scrivener, but that’s more of a workflow/information management tool. It’s great for large bodies of work, like a master’s thesis, novel, or screenplay, but for anything less than 1,000 words, it’s like taking a moving van on a quick run to the grocery store. Don’t get me wrong. These are all fine apps, and I use several of them. But these aren’t must-haves like a photographer and his camera, or a painter and her brushes. If you want special writing tools, get a basic notebook and a decent pen, and just start writing. Or pick the word processor and laptop you’re most comfortable with. Whether you handwrite everything, or you have a 21″ HD computer monitor and bluetooth keyboard, you’re going to get your best work done with the tools you feel comfortable with. I’ve written in small grid-lined Moleskine notebooks with a Pilot G-2 gel pen for 12 years. 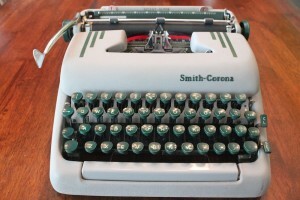 I’ve pounded on a 60 year old Smith-Corona Silent Super typewriter, and an 80 year old L.C. 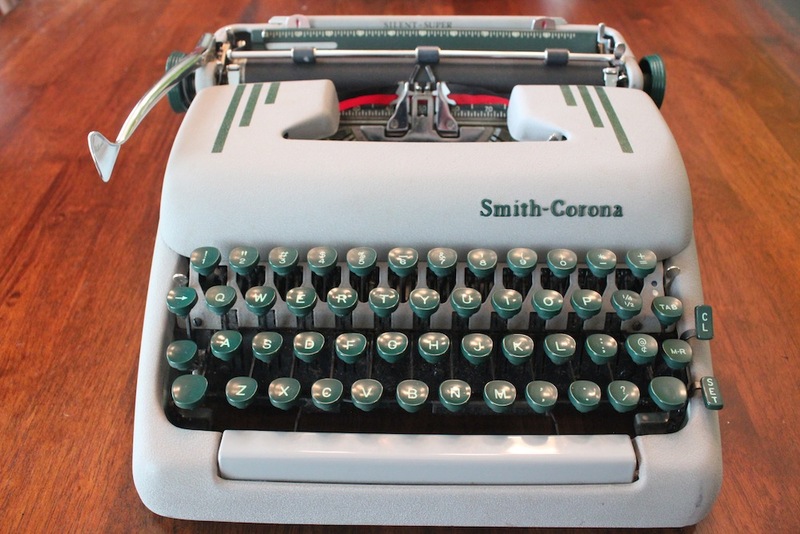 Smith & Corona Silent. I’ve used Apple’s word processor (AppleWorks, ClarisWorks, and now Pages) since I was 20. I’ve played with different writing apps, including Facebook blockers, minimalist writers, and even Scrivener. But none of these made me a better writer. None of these improved my writing or my efforts. Sure, some of them were more efficient, but you measure good writing in results, not efforts. No one cares about the process, just the finished product. In the end, no tool will make you a better writer. Apps can improve the process, but they don’t improve your skills. While we can argue that better tools make better paintings/photographs/sculptures/tables, a better word processor doesn’t make a better story. Focus less on the tools you use, and more on your process, and everything will fall into place.